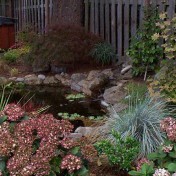 Small Patio Gardens Archives - Ann Nickerson Landscape Design, Inc. In this age of small lots it’s important to maximize every square foot. I enjoy designing small properties. 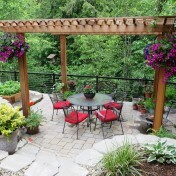 Often we use the patio as the focal point in the garden. Thank you for working with us. We appreciate your time effort and talent in helping us fix our landscape plan. Thank you for all the extra hours and the fast response on the plant list. 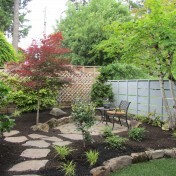 Ann redesigned our landscaped areas on two sides of our house which is located in a forested area, in 2010. She did a wonderful job in capturing our landscape wishes, including selection of deer resistant plantings. 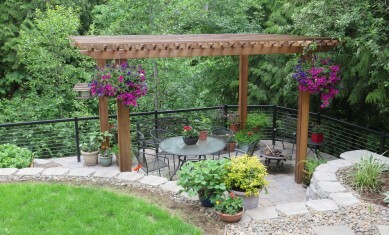 We certainly recommend Ann for her landscape design skills.